A comedy/drama centered around three characters: an everyday guy who believe he's a superhero, his psychiatrist, and the teenager he befriends. 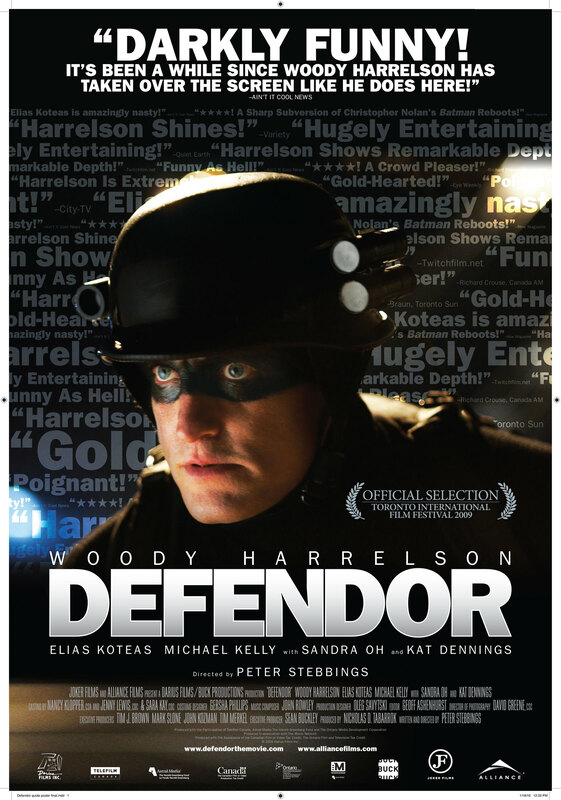 I was afraid that this was just another spoof movie, not that that couldn't have been good with Harrelson in the lead! But it was not spoof, it was 50/50 humor/drama. It's about a guy who thinks he is a super hero, so that part naturally creates comedy, but the guy is mentally ill, but has some good friends that tries to help him out, here you have the drama. Actually there's maybe 10-15% of action too, but that's not central, in my mind anyway.